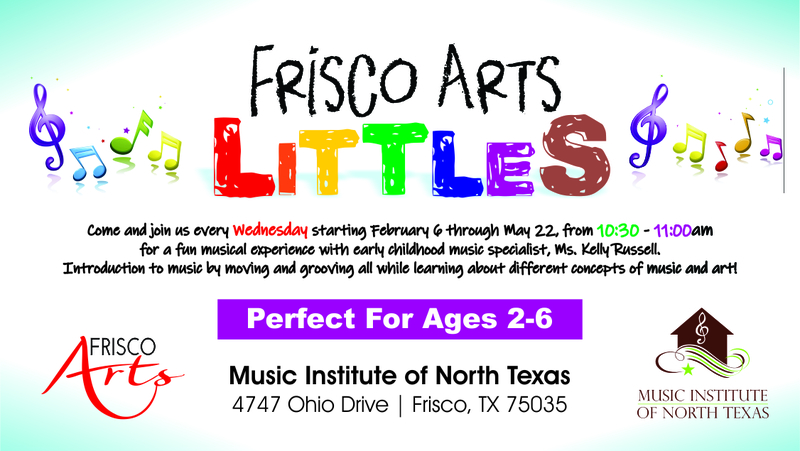 Do you want to introduce your 2-6 year old to the exciting world of music and art? Come join us every Wednesday from February 6-May 22 for a fun musical experience with early childhood music specialist, Ms. Kelly Russell. Kids will enjoy an interactive introduction to music by moving and grooving, all while learning about different concepts of music and art! Proceeds benefiting Frisco Arts, the city’s official arts advocacy agency. No refunds.